Envirostik > Uncategorized > Envirostik Stay Ahead Of The Game! As the trend towards sand and rubber filled long pile carpets continues and high joint strength specifications becomes increasingly important, the requirement for trusted adhesives and installation performance has never been greater. That’s why Envirostik, leaders in adhesives for synthetic grass sports installations, have introduced a new high performance adhesive system onto their range. Envirostik Ultra-Fix is the latest in adhesive innovation, specially designed for high contact sports installations such as Rugby. Envirostik have developed Ultra-Fix two part polyurethane adhesive in conjunction with their new high performance seaming tape, Envirostik RTX Tape. The combined system has been tried, tested and proven to perform to FIFA, GAA and IRB standards; meeting the most rigorous tensile strength parameters. 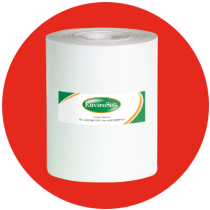 Envirostik Ultra-Fix has been developed to retain its structure within temperature fluctuations and can be trusted to perform even when it’s cold and wet. It’s available in 10kg and 12kg sizes with a separate hardener. Responding to market demands, the RTX Seaming Tape comes in 150m lengths, 300mm wide.